Bishop Wade was ordained as a gospel minister at Tyler Crusades, Inc., August, 1978. Also, she was ordained as assistant pastor at Miracle Tabernacle Full Gospel Church, Dr. A.M. Hardeman, pastor in October, 1981. After acknowledging her call to ministry she pursued ministerial training continuously at International Seminary 1982-1987. Her honorable mentions included: Bachelor of Bible Subjects, Teacher's Certificate, Master of Ministry, Honorary Doctor of Divinity and Doctor of Ministry. Bishop Wade was consecrated bishop by International Communion of Charismatic Churches, Inc. Archbishop Benson A. Idahosa, February 1995. 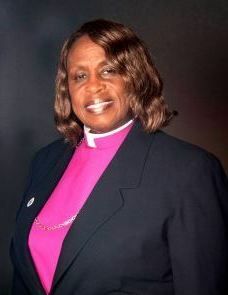 Her elevation to Presiding Bishop of Perfecting Covenant Prevailing Connection came October, 1995. She became a member of the 'Joint College of Bishops' under the tutelage of Bishop J. Delano Ellis, II, Presiding Prelate in 2003. Further she is the recipient of Apostolic Succession, 2005. She is the recipient of an Honorary Doctor of Divinity from Christ United Theological School in Cleveland, OH, 2005. Bishop Wade is an alumnus of The Harvard School of Divinity Summer Leadership Institute 2003. She is an honored member of U.S. Registry's WHO'S WHO among outstanding American, 1995-1996. She is an honored member of The Heritage Registry of WHO'S WHO 2008-2009. She is the loving wife of Overseer Andrew T. Wade who stands beside her in all areas of ministry. She delights in being the very proud mother of her two children who have served in ministry with her, Pastor Paris T. Taylor and Debreita D. Taylor.